For years she ran daytime TV — but can the “Queen of All Media” run for the highest elected office in America? Financier and philanthropist Rubenstein asked — given Winfrey’s popularity and the fact that a woman has yet to win the White House — would she ever consider mounting her own campaign? “I actually never thought — I never considered the question even a possibility. 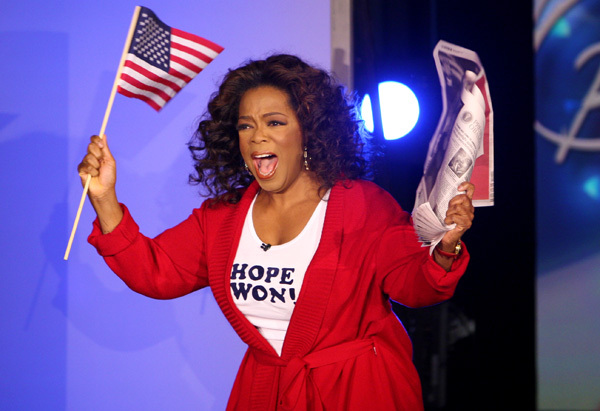 I just thought, oh, oh,” said Winfrey, 63, who supported Hillary Clinton in last year’s election. While the TV mogul didn’t mention Donald Trump specifically, she hinted that his roots as a businessman and reality-TV star could make her reconsider. If she ever did decide to wade into a career in politics, it would be an about-face from past remarks. In January, she told “Late Show” host Stephen Colbert that she would “never” run for president.